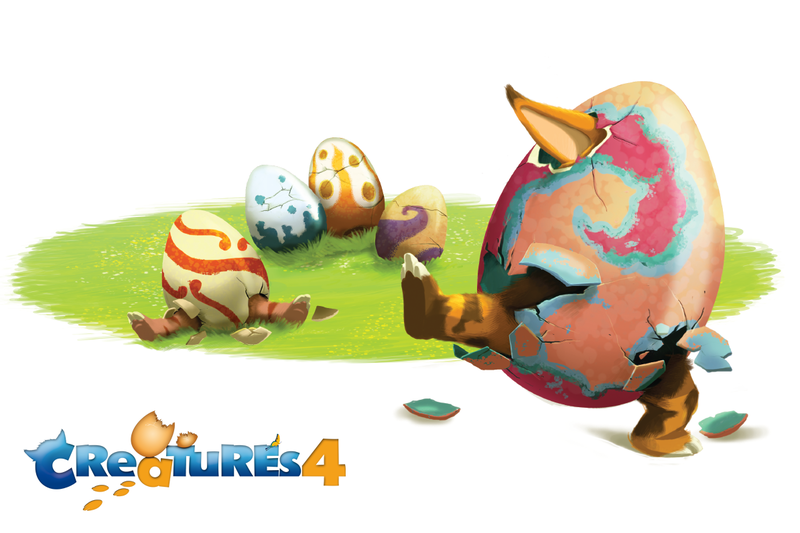 The Norn out of his egg! This is the Creatures 4 teaser artwork that Fishing Cactus revealed back in May 2011. Property of Fishing Cactus and Bigben Interactive. The original can be found at The Official Creatures 4 Website. Probably not. It's an old promo. I have high hopes for this game. And I think a better or alternate title would be Creatures: Reborn.